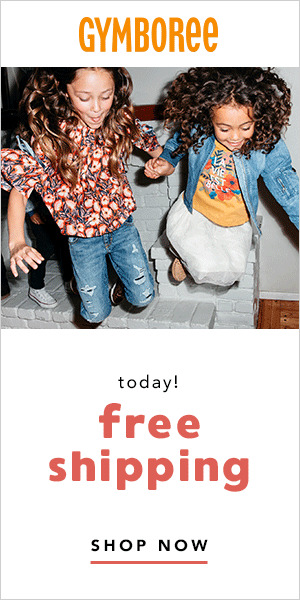 Preschool Giveaway–Including $50 Amazon Gift Card! I have teamed up with a few blogs to celebrate some changes in the True Aim blog and to bring you a Preschool Prize Pack giveaway. The prize pack includes a $50 Amazon Gift card, True Aim’s Preschool Curriculum e-book and the M is for Mouse Reading Game. Head over to True Aim and check out the fun learning activities, simple parenting tips, and kid friendly recipes. It is a great resource for parents of young children. Founder Janine LaTulippe added new contributors and a new homeschooling category. Readers will get even more parenting tips and learning activities with valuable information about homeschooling you might not have considered. Like me, Janine is a Mama of 4 under the age of 6 (though her children are not all the same age). I agree with Janine that a great education begins in the home. Whether you choose public, private, or home schooling, parents have the most influence on their children. She promises to challenge you to reclaim your children and help you discover the True Aim of parenting and education. Visit True Aim to learn more about Janine! 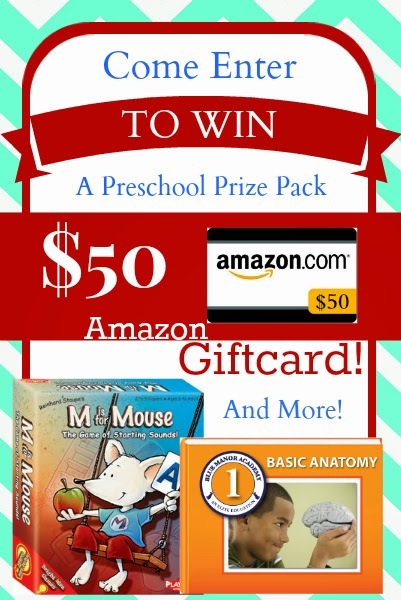 This prize pack includes a full Preschool Curriculum eBook Set, M is for Mouse Reading Game, and a $50 Amazon Gift Card! Winner will be chosen 3/5/14. I wish you the best of luck in the contest. If you have a moment, please let me know if you’d like to see more opportunities to win prizes on Capri + 3. I like recipe posts the most, I am always referencing them. recipes–as getting young ones to eat the right foods –Not easy. I like to read homeschooling posts. I enjoy the parenting posts. I like to read a little bit of everything. I am always looking for crafts and recipes to try and love the makeovers. I love reading the recipes, parenting tips and giveaways!! Thank you so much for the opportunity! I love posts about activities for toddlers. I have 2 and I love reading your great ideas! Thank you for the wonderful giveaway. I guess I like recipe and homeschooling posts the most. I like recipes the most. I love any posts that have to do with homeschool, and keeping your kids interest in the tasks at hand. All your posts are of interest to me but homeschooling is my number one interests because I am homeschooling my son…and I am pretty clueless…just trying to figure it out as I go. I would love to see more recipes, I'm always looking for healthy but great tasting meals for my family. I would love more recipes, I have a very picky eater on my hands and could use any help in getting yummy, nutritious food into him! I like parenting and activities. I like how to posts for new activities. I try a lot of new recipes from posts. I like activities posts the most because they give me great ideas and also recipes. I like activities and parenting tips the best but overall, the site is very informative and helpful. I enjoy the recipes the best. I like the recipe posts…I love to make new recipes for my family to try. I'd love to see more activity posts to get little minds engaged! Recipe posts are my favorites! I like parenting tips posts. I like positive posts with fun ideas for the boys and I like tips on parenting, discipline etc. I enjoy the parenting tips! I love your recipe posts, always great ideas! I like reading about creative activities and educational materials. I love posts about educational activities. I like the activity posts. It's good to have activities especially in WI during the long winter. little kid/toddler friendly crafts and activities and homeschooling projects and tips are the things i use the most!! I like reading parenting tips. Thanks for the giveaway! I like posts about activities. I'm always looking for something to keep my daughter busy! I love parenting posts and kid's activities that are theme oriented. recipes! I love the inspiration! I love seeing crafts relating to holidays/events/people etc. I like to do some sort of craft activity to make every lesson fun! I love kid friendly recipes. My eaters are very picky! I love reading foodies posts or time saving posts! Preschool fun at home and rainy day activities! i like any posts about healthy recipes for kids, great parenting tips and home school advice. I like activity ideas and tips on parenting situations especially when it comes to addressing behavioral problems. My husband is a stay at home dad so we love activity posts! i like paranting tips and recepies. I love recipe posts, but I also like homeschooling and other activities for toddlers.